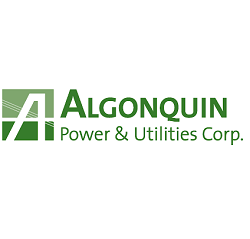 Yesterday, September 27, I bought 100 shares of Algonquin Power & Utilities Corp. at CA$ 13.10 per share plus commission. My overall cost basis of this position increases from CA$ 11.72 to CA$ 12.01 per share. I totally hold now 500 shares of AQN and my yield on cost is 4.90%. I purchased my first AQN's shares about one year ago, which you can read here. With current quarterly dividend ($ 0.1167, AQN declared dividends in USD), this purchase 100 shares of AQN increases € 29.45 ($ 34.78) of expected annual net dividend income. At today's exchange rate, this purchase will increase my portfolio projected annual net dividend income approximately to € 11,170.00. After this acquisition, AQN's weight of my portfolio is about 1.21% and its share of future annual dividend income is approximately 1.32%. In the near future, I have no intention to increase more AQN's share of my portfolio, but I'm interested in a few other companies from the same sector, such as DUK and WEC. Nice job rounding out a massive dividend producing engine there. Keep it up.